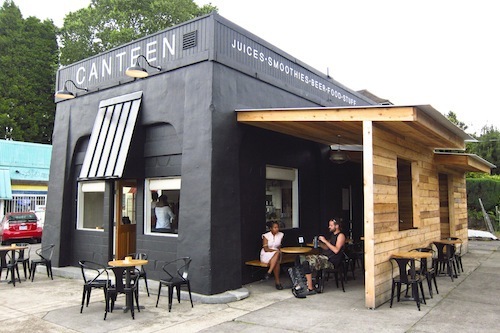 I had the pleasure of joining some of my dietitian friends for lunch yesterday at one of Portland’s best (in my humble opinion) neighborhood spots, Canteen. Serving all vegan and some raw foods, you can get your breakfast, lunch, and late afternoon smoothie fix all in one spot. Apart from being adorable, it was easy to find a spot to sit outside and the staff were friendly and helpful. 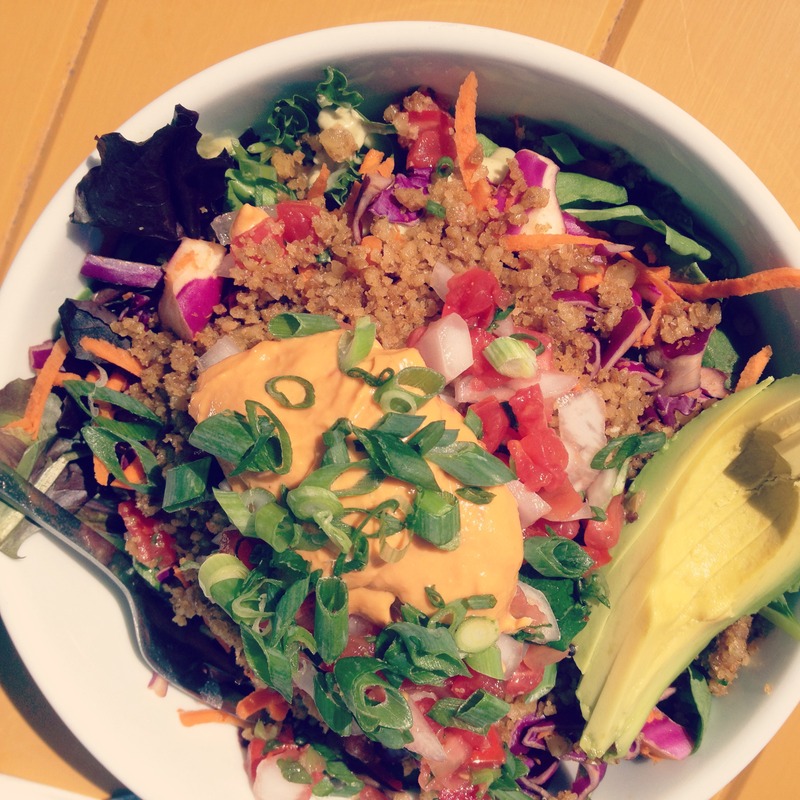 I settled on the Walnut Taco Salad, which was a mouth-watering mashup of quinoa, greens, green onions, purple cabbage, and walnut taco crumbs, drizzled with a hefty dose of cashew nacho spread. I mean. I had originally been happy with the cucumber-infused water Canteen had on the counter, but once I tried my friend Ashley‘s Tropical Greens smoothie I had to have one of my own. 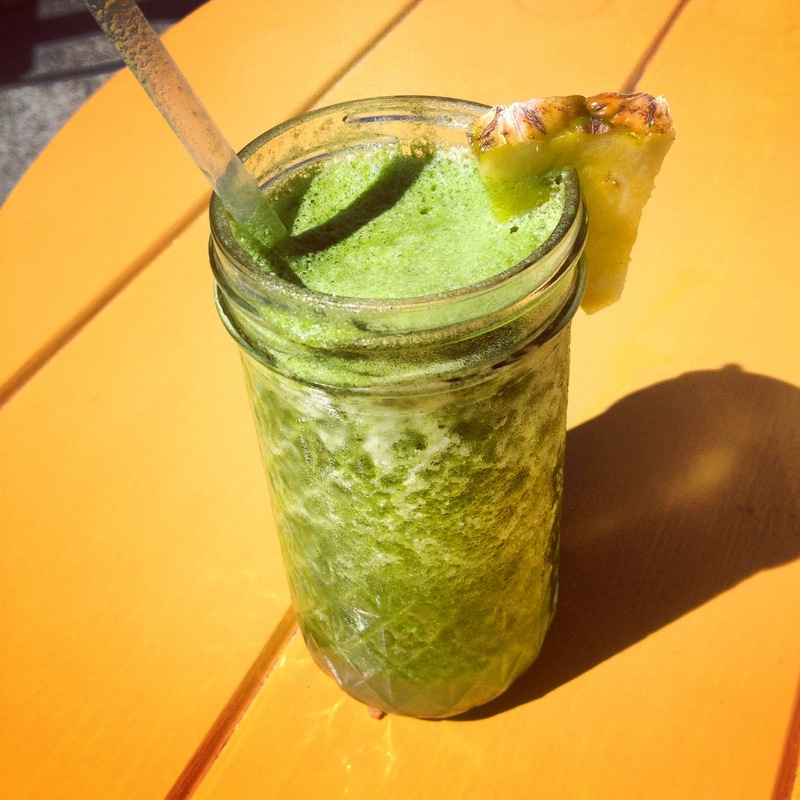 It tasted like a pina colada, but had all the nutritional benefits of the kale, spinach, and coconut oil thrown in. I’ll have to try this one out at home! 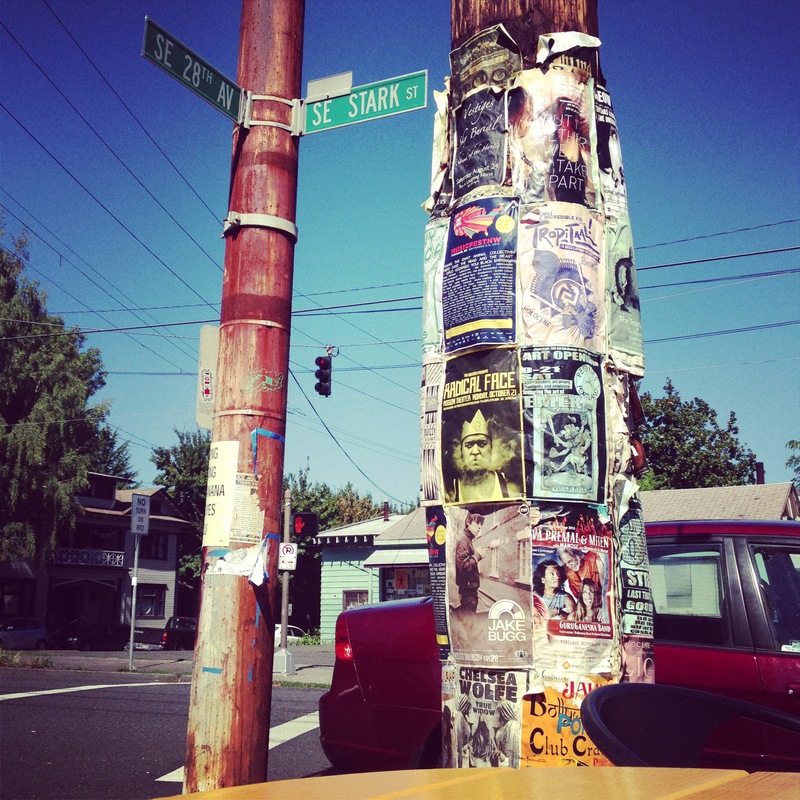 If you have the pleasure of living in this fabulous foodie city, get right over to Canteen. You won’t be disappointed!